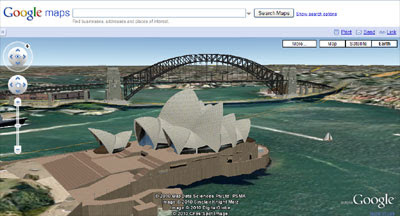 This means that Google Maps users can now enjoy the 3D buildings and terrain that users of the Google Earth standalone application have long enjoyed. It is even possible to grab the embed code and place a view directly within your own website or blog. Another great feature of Google Earth is the ability to dive beneath the ocean floor. Check out this 3D model of the German Battleship Bismark or the model of The Titanic in Google Maps.